Chef Jason Rex grew up in the Inland Northwest and earned a culinary degree in Portland. In 2007, he partnered with Connie Naccarato to open Scratch Spokane, opening a second location in Coeur d'Alene two years later. He went on to open Rex's Burgers and Brews as well as a French restaurant called Fraiche. 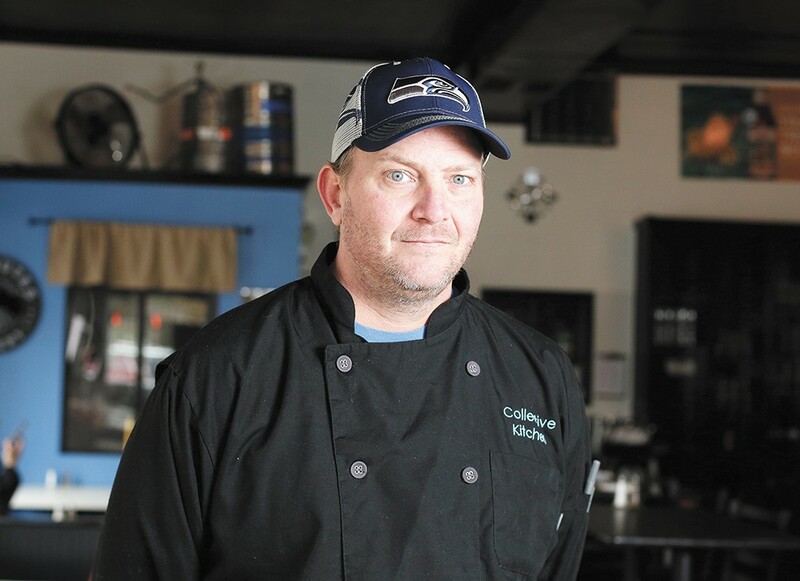 Currently, he runs Collective Kitchen, the Filling Station on 5th and Global Kitchen in Coeur d'Alene, and is on a fast track to opening the Filling Station in Post Falls with his brother and nephew. His true realm is fine dining, but in this food culture, he focuses primarily on upscale pub food "which is fun, quick and popular." RESTAURANT WEEK: What is an "aha!" moment in your journey to becoming a chef? REX: I think my biggest "aha" moment was doing the first payroll at Scratch in Spokane. Up until that point, I had always been spending other people's money. We now had 30 employees, and I thought to myself, I'm helping families succeed right now. I feel like I'm making a small difference by offering my people a good working environment and consistent pay. What do you enjoy about cooking in our region? I enjoy the customers, especially the regulars [who] come in all the time. 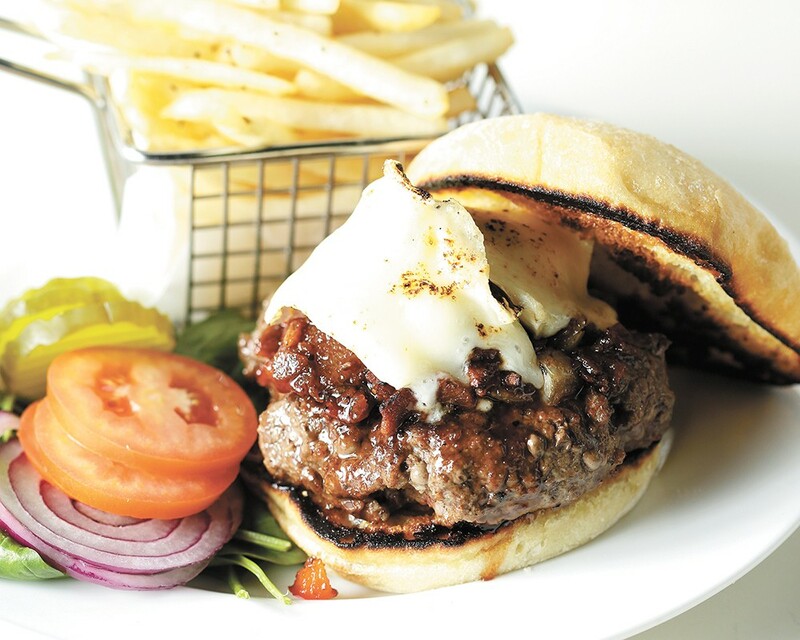 Are there any go-to foods you order when dining out? I always try to find something that's a little off-the-wall, that's not on every menu in Coeur d'Alene. Who is your culinary hero and why? My grandma. She taught me how to make the best soups, biscuits and gravy and homestyle food. What do you find intriguing about the local food scene? We have an Indian restaurant [in Coeur d'Alene] now, and it's pretty good! I like what Viljo's [Basso] doing, what Adam's [Hegsted] doing, even what they're doing up at Daft Badger [Brewing]. We're all bringing different cultures, cuisines and flavors to this area. What are your thoughts on Inlander Restaurant Week? I appreciate the effort the Inlander now puts into promoting the Coeur d'Alene restaurants. In our community, Restaurant Week gives people perceived value to go check out a new place. In developing the menu, I definitely add unique items, but I do always have Caesar salad because it's familiar for people. This year, I am also using Abi's Ice Cream for a dessert. It's been cool to feature a local ice cream company. How do you regularly challenge yourself to stay fresh? I do an astronomical amount of catering during the summer, so I have to stay creative. I also travel quite a bit, so I try to go to cool, hip, locally owned places and experience what they're doing. The original print version of this article was headlined "Jason Rex"